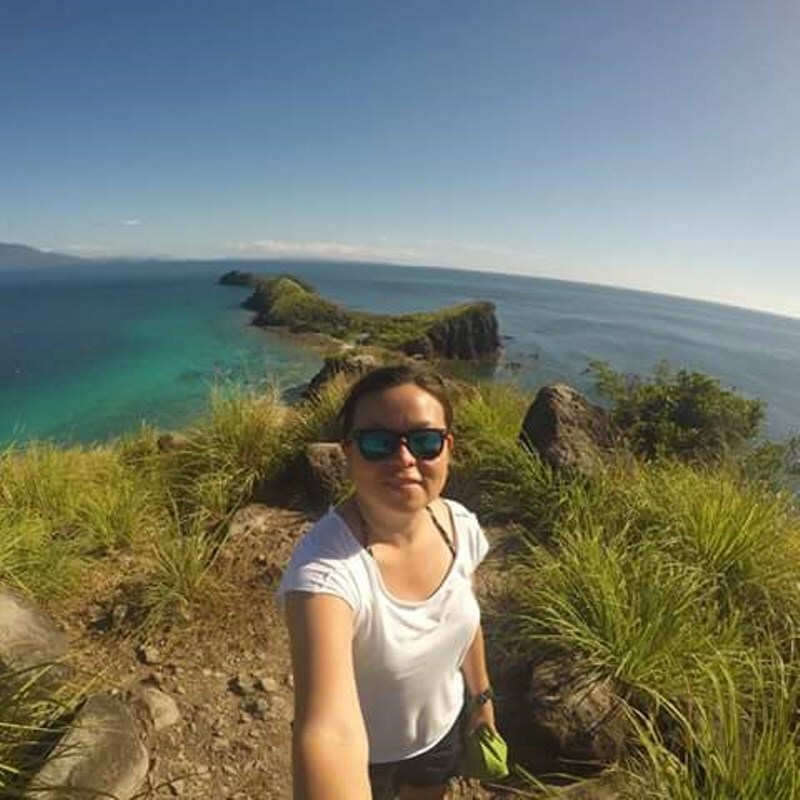 Damn Good Travels: TREK Fuga: the Best Summer Voluntouring Ever! TREK Fuga: the Best Summer Voluntouring Ever! We got sunburned to the max. We were terrified by the waves. We had lots of hitches. But, TREK Fuga turned out to be our best summer 2015 adventure! We usually do not schedule TREKs during summer but this year, we decided to squeeze one upon the request of one of the co-founders of our group, Elias. Plus, we have always wanted to visit Babuyan Island, or at least me who hasn’t set foot in this archipelago located north of Luzon. Actually, judging from how fast our slots for the outreach got filled up so quickly, it was not only me who wanted to see Fuga Island. Fuga is an island in the municipality of Aparri in Cagayan and is part of the Babuyan Archipelago. It constitutes one of the 42 barangays of Apparri along with the neighboring islets of Barit and Mabag. It has six sitios, with Naguillan as the principal settlement. It is a three-hour boat ride from Claveria, Cagayan. There are no regular passenger boats going to Fuga Islands. Locals though say that they sometimes hitch a ride with fishermen or those who are carrying goods to Claveria for P 170.00 each. Summer is actually the best time to go to Fuga Islands because the sea is calmer. This is also the reason we rushed this TREK. We usually do our missions August and December, which is our anniversary month. The advance team, which I joined, wanted to start sailing to Fuga before 10:00 AM, as advised by the locals, but we had to do some errands. So, we started past 11:00 AM and the sea was already rough and the wind was already blowing hard. The boatmen had to remove the tarp covering us, which made the ride more uncomfortable. There was the heat of the sun, the hot exhaust from the boat’s engines and the waves that kept tilting the boat. We were an hour late from our ETD and this. The sea was supposed to be stiller because it was summer. Imagine what happens when there is an emergency in the island during the rainy season. After almost four hours, we landed at Sitio Naguillan, and the view that welcomed us reminded us quickly while we travel far. From the beach, we had to climb 232 steps to reach the sitio. We decided to rest first, enjoy the view and calm our nerves. It was too hot anyway. This island is truly filled with surprises. This is what awaited us on top of the stairs -- the ruins of the basilica built by the Dominicans. We decided to set up camp at Naguillan, which is also at the center of the island. The original plan was to camp at Musang Beach, located at Sitio Mudoc, but we changed plan last minute. It was actually a good decision because the residents of Naguillan made our 3-day camping very convenient. All we wanted was just running water and comfort room, but they also allowed us to use their dining utensils, tables, chairs and even helped cook our meals. Since we were a day ahead of the rest of the team, we got to enjoy more this part of the island and had more time bonding with the locals who shared with us the difficulties of living on an island surrounded by the perilous sea. We were there for four days. On our second day, the rest of the volunteers arrived. We let them rest first, then we started repacking. 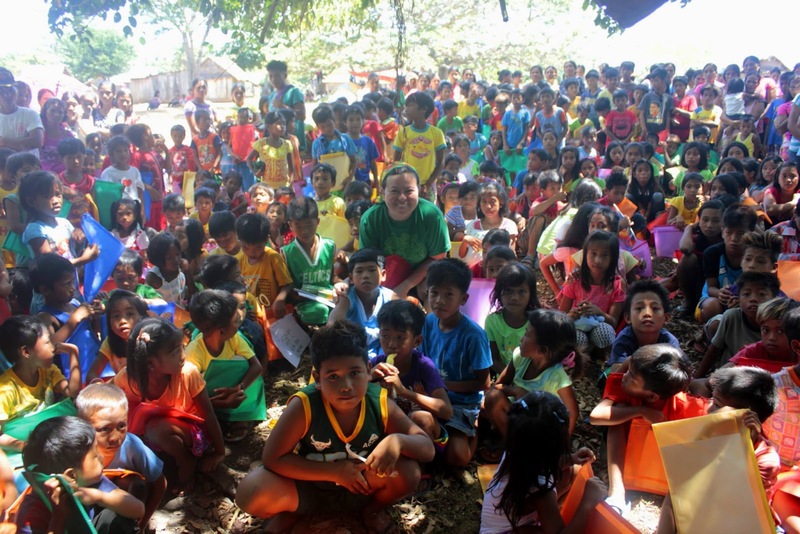 We had our usual backpacks with school supplies, art set, loot bags, hygiene kits, and slippers. But, what made this TREK really special was the debut of our “Munting Aklatan,” a collaboration between our group and the United Architects of the Philippines Manila Corinthian Chapter. We expected the kids to be there when we repack. They were near us but because of language barriers, we couldn’t really warm up to each other. Good thing we had two little ambassadors, Izhan and Drake, and they are masters of play, the universal language. The following day, kids were at the site early. Kids from as far as Sitios Bubog, Mudoc and Simabang walked hours to get to Naguillan. By 8:00 AM, we were ready but it was too hot and we didn’t want anyone collapsing from heat stroke. The first thing we did was divide the kids per grade and led them to shaded areas. We distributed art kits and our volunteers guided them into writing and drawing what they wanted to express. Some groups had extra time, so they also had storytelling sessions. Our Ilocano speaking volunteers translated for them. While this was happening, some parents joined our volunteers from PAGASA, who conducted “Bagyo 101” or a short lecture about the weather. After about an hour or two, the kids were done. In Sta. Elena, the TREK before Fuga, we had difficulties gathering the kids because of the rain. This time, it was the heat of the sun. Good thing we found an area, under a big tree, with the breeze coming from the sea. That was where we had our games with the kids. After our games, we distributed their backpacks and then we sent the kids for lunch. Our hosts, the residents of Naguillan, took care of the meal preparations. They were a really big help. While lunch was ongoing, we formally turned over our mini libraries to the representatives of the six sitios of Fuga Island. Each library was filled with storybooks and we promised them that our group is ready to replenish the books for as long as they take care of the libraries. We ended the turnover ceremonies with the distribution of slippers. Almost a must in every TREK is the side trip. Musang Beach is a white sand beach located at the far end of the island, about a 45-minutes long boat ride. The perfect word to describe the surrounding blue is mesmerizing. It was layers of blue -- from the lightest blue ever to aquamarine to dark blue. I have never seen such beautiful melding of the color. Even our volunteers from Batanes were amazed. Most volunteers dove in, while I chose to spend the afternoon in a hammock, listening to the waves and my friends talking. It was perfect. Leaving the island was not without incidents. It involved looking out in the vast sea for signs of your co-volunteers’ boat, seeing your fellow boat passengers relieve himself in the sea and again, baking under the sun while traversing a tumultuous sea. Well, these are stories I would rather forget than tell or something that should be reserved for post-climbs. Everything still turned out well and we had a really memorable TREK Fuga.